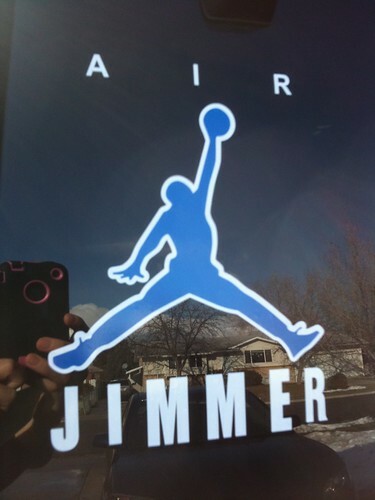 AIR JIMMER Window decal for my Jeep Commander. We also have one on our Mazda. All thanks to my dad, who made the sticker!! !